Delaware has one of the oldest brewing traditions in the United States, stretching back to the arrival of the first Europeans in the early 17th century. For centuries, beer had been an important part of the diets and cultural lives of the Dutch, Swedes, Finns, English, and Germans who settled the region. It was only natural then that they would bring their preferences for beer with them to the New World. Not only was beer a social lubricant celebrated for its intoxicating properties, early American settlers also recognized it as a safe and healthful alternative to water. Water supplies were often polluted back in their native European towns and villages. Drinking water sometimes resulted in illness or even death; whereas drinking beer had no such effect. Of course, it was not yet understood that the boiling of water during the brewing process killed harmful bacteria. Early brewing by the Swedes and Dutch along the Delaware was generally done in small batches for small numbers of people. Raw ingredients and the equipment needed for brewing were not always plentiful. All of the beer produced in Delaware up until 1850 was ale. Compared with lager, ales ferment at room temperature and are typically cloudier and less delicate. Ales could be brewed year round and did not require long periods of cold storage for fermentation to occur, which made it perfectly suited for the warmer American climate. There were a few breweries operating in Delaware during the 17th and 18th centuries, as much of the brewing being done occurred in homes and taverns. Larger scale commercial operations did not really develop until the formation of population centers that could properly sustain them. 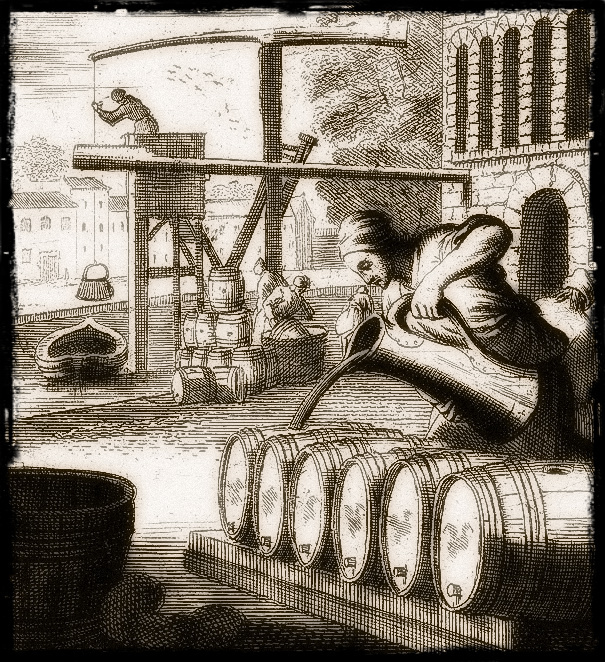 New Amstel (renamed New Castle by the English) and Wilmington became the early centers of brewing in colonial Delaware.